Jiangxi Yudu Zhengyi Paper Mill purchased the whole set of paper pulp machine for their new 450t/d high strength corrugated paper making project, and all the equipment have been delivered to customer. 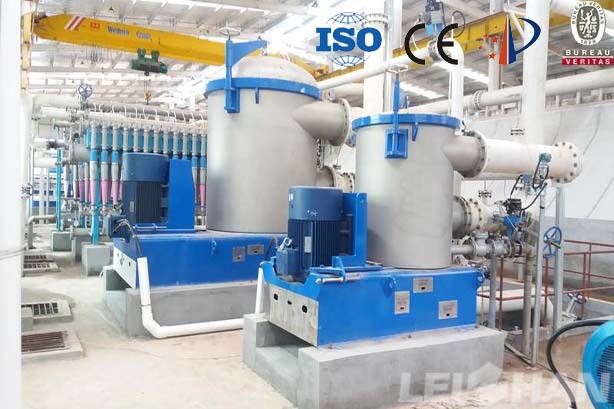 Equipment has been installed and running smoothly, customer is very satisfied with the paper pulp machine working performance. This pulp process contain Chain conveyor and Drum pulper, Coarse screening system, High density cleaner, Fine screening system, Pressure screen before approach flow system. This paper making project use LOCC as raw material, and paper pulp machine designed and select according to customer’s requirements and the actual production needs. We also supply paper machine for living paper&Cultural paper&Wrapping paper making, and paper machine spare parts, if you have any need or questions, welcome to contact us for more details.